Uncertain about deciding a major? Wonder what kind of academic success programs exist? 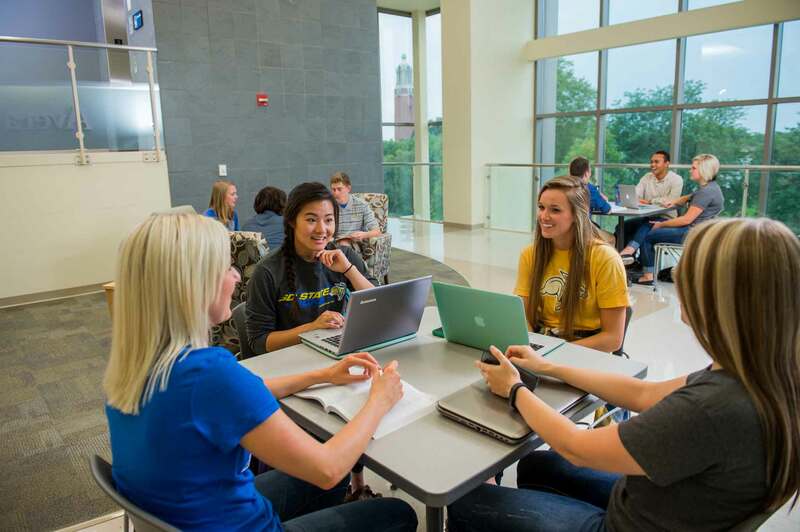 The dedicated faculty and staff in University College at South Dakota State University are here to answer those questions—and so much more. Our focus is on you from your transition to our campus as a new student to your professional program. Our mission is to help students succeed academically and encourage lifelong learning. We do this by providing academic advising and coursework. Students can take classes such as “First Year Seminar” and “Mastering Lifetime Learning Skills” to assist in the transition from high school to college. Students can also participate in academic success programs, such as tutoring assistance and Supplemental Instruction review, through the Wintrode Tutoring Program, which offers free tutoring and SI in a number of courses. Students at academic risk can benefit from our Academic Success Program, as we are dedicated to your scholastic success. We know that as a student, you have lots of decisions to make. One of the best ones you can make is to start with University College—we’re here to see you through. Check out the Wintrode Student Success Center here! Explore the academic opportunities available to students through one of five tracks of coursework in the Exploratory Studies Program. Meet University College Lecturer, Teri Johnson. According to University College Instructor Melissa Granum, it is important for instructors to be able to put themselves in their students’ shoes. As a freshman, Nick Westphalen knew he wanted to pursue South Dakota State University’s nursing and U.S. Air Force ROTC programs.